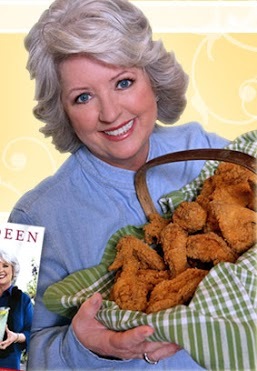 Paula Deen has been sharing her brand of country goodness on TV for over a decade. But now the empire is crumbling. Deen is being sued by former Paula Deen Enterprises employee Lisa Jackson, who claims she was subjected to sexual harassment and racism in the workplace. When questioned, Paula Deen shared her past use of the “n-word”, her appetite for racially focused jokes, and her desire to hold a Southern plantation-style wedding, complete with slave attendants. And The Food Network promptly fired her. But I’m getting ahead of myself. Let’s go back to the deposition (deposition: The testimony of a party or witness in a civil or criminal proceeding taken before trial, usually in an attorney’s office.). She was being questioned about her racial attitudes. And just for you all, I went ahead and cherry-picked her choice comments. Lawyer: Well, then tell me the other context in which you’ve used the N-word? Deen: I don’t know, maybe in repeating something that was said to me. Deen: No, probably a conversation between blacks. Lawyer: Okay. Would you consider those to be using the N word in a mean way? Deen: That’s — that’s kind of hard. Most — most jokes are about Jewish people, rednecks, black folks. Most jokes target — I don’t know. I didn’t make up the jokes, I don’t know. I can’t — I don’t know. Deen: They usually target, though a group. Gays or straights, black, redneck, you know, I just don’t know. I can’t, myself, determine what offends another person. Deen: Yes, I did say I would love for Bubba to experience a very southern style wedding, and we did that. We did that. Lawyer: Okay. What era in America are you referring to? Deen: Well, I don’t know. After the Civil War, during the Civil War, before the Civil War. Lawyer: Right. Back in an era where there were middle-aged black men waiting on white people. Deen: Well, it was not only black men, it was black women. Lawyer: Sure. And before the Civil War –- before the Civil War, those black men and women who were waiting on white people were slaves, right? Deen: Yes, I would say that they were slaves. Deen: But I did not mean anything derogatory by saying that I loved their look and their professionalism. I get that she is an older woman from the South. She lived through the Civil Rights Movement. She can remember segregation. I get it. But is she really that walled off from reality that she doesn’t see anything wrong with her words? It’s OK to repeat the n-word if someone else said it? And a joke is just a joke? Not her fault if you might be offended. And a Southern plantation wedding, meant to mimic Civil War times, is just fine. We’ll get all Black waiters (because that’s how it was done back then), but it’s not meant to be derogatory. She just likes how they look and how good they are at their job. Come on. I can’t even say that this stuff is thinly veiled (though I do give her credit for her honesty). But it seems like the wave of negativity coming her way since her comments were made public has finally woken her up. This morning, Paula posted an apology on YouTube. While she does seem visibly shaken in the video, no one can know for sure what is causing her emotional response. Is it that she is truly remorseful or is it that she can see her empire crumbling around her? I’ll leave you to decide that one. #PaulasBestDishes "I Love Black People" salad. …who am I kidding? Paula would never make a salad. But no plea from the Queen of Calories could stop The Food Network from showing her the door. Her contract is up as of the end of this month, and the Food Network has gone on record saying that they will not renew it. No racial ridiculata is going to derail the House that Bobby Flay Built. Not so fast. This woman is 66 years old and has been a staple on The Food Network since 2002. She has cookbooks, a magazine, a cookware line, and food items. She even sells furniture. Somehow, in all of that, this little issue is just now rearing its ugly head? No one at The Food Network ever thought that she might need some sensitivity training? Her pattern of behavior, which she freely admits to in her deposition, was just overlooked this whole time? Something tells me that none of this is a shock for those that have worked with her over the years. I think they just sided with money over ethics and values. That is what is being overlooked here. And that is the real problem. No funny Twitter hashtags or parody videos will do anything to point out that a woman with these views and this behavior was able to thrive for years with little incident. All kidding aside, this is the world that we live in. Paula Deen, the Southern sweetheart that can’t seem to make anything without butter, pines for the days when Blacks were only seen as 3/5 of a person. The good old days when White plantation owners were waited on by Blacks with an impeccable work ethic. She is able to completely overlook all of the tragedies of slavery and just see the genteelness of it all. This is 2013 people. The Civil Rights Movement was like 60 years ago, and we’re still dealing with this? Stick a fork in me. I’m done. A full transcript of the deposition is available here. What do you think about the storm swirling around Paula Deen? Share your thoughts in the comments section below!